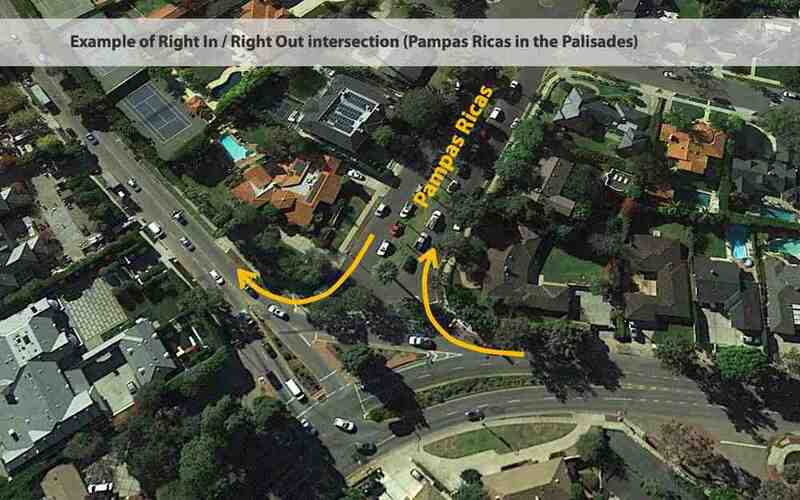 Here are some important updates on BOCA and SMCCA's continuing joint efforts to address the Canyon's traffic problems during two major construction projects. 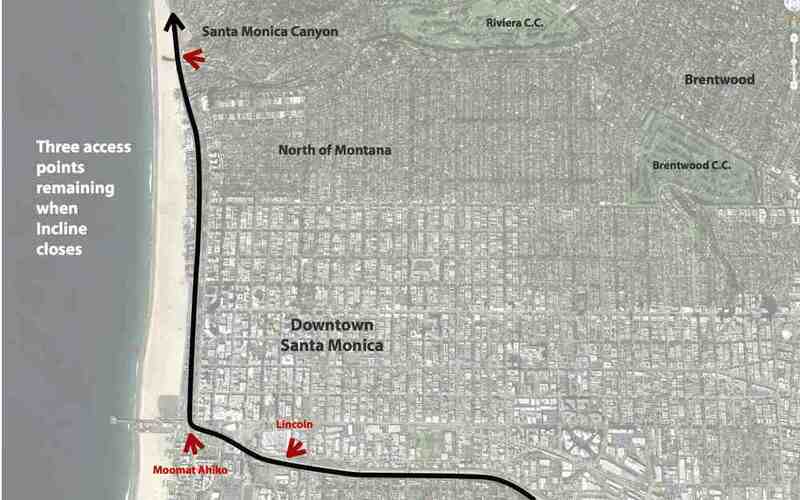 George Wolfberg of SMCCA reports that the California Incline probably will not be closed until April, with pre-construction activities taking place during March. 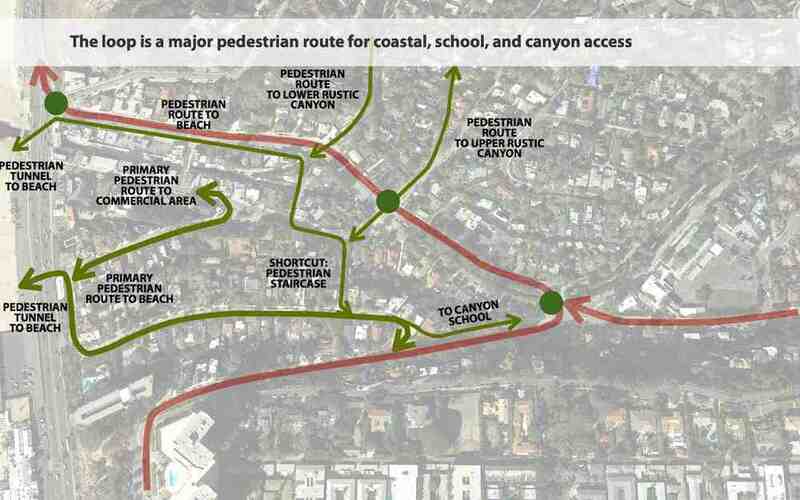 This is a bit of good news for the Canyon, in that there will probably be only a one-month overlap - the month of April - of the two big projects: the Incline closure and the PCH sewer construction lane closures. 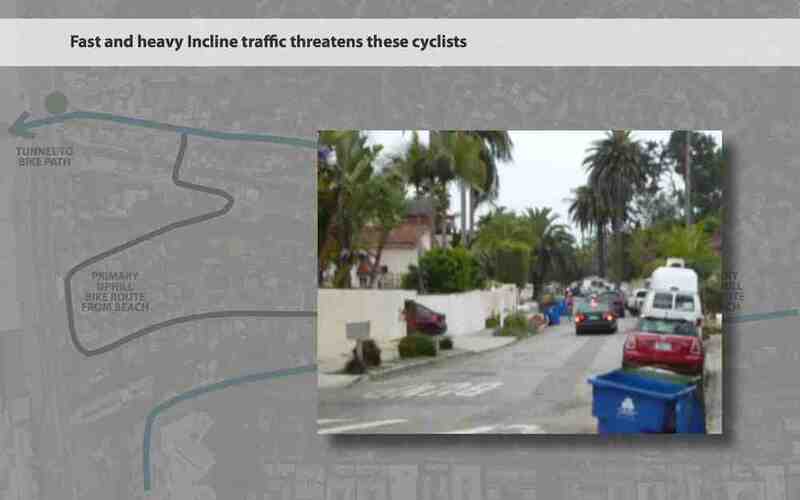 The Incline work is expected to last 12-14 months. Under this schedule, the Incline closes at the beginning of April 2015, and reopens at the beginning of April, May, or June 2016. 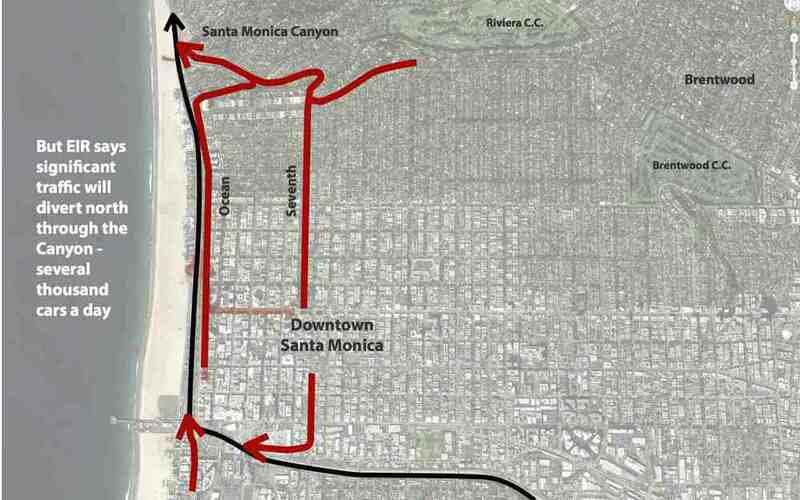 The City of Santa Monica, which is leading the project, is very concerned to have the construction affect only one summer season rather than two. There are incentives for the contractor to complete early, and penalties for completing late, so the schedule seems realistic, barring unforeseen difficulties. 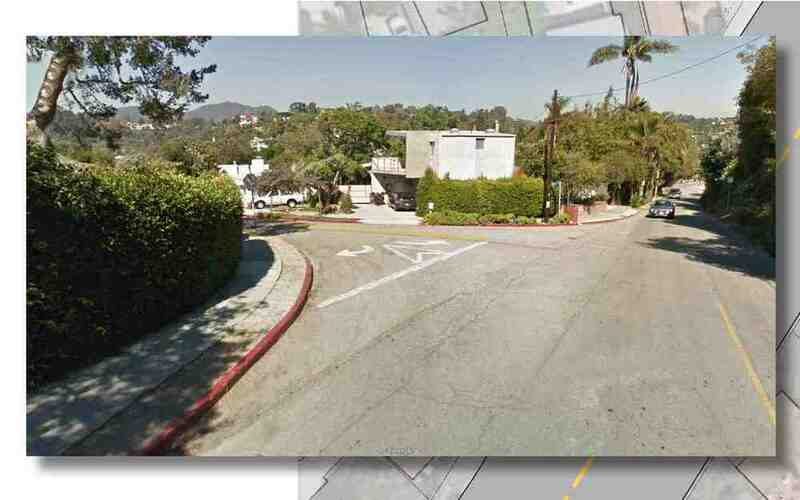 The City of LA Public Works Department continues to report good progress, and expects the construction and lane closures to end, as scheduled, at the end of April 2015. George W. reports that all night work is completed, and that work will continue daily from 7am to 7pm. There are some positive changes at the Los Angeles Department of Transportation which should help the Canyon address its traffic concerns. Mayor Garcetti appointed a new General Manager, Seleta Reynolds, from San Francisco's transportation agency. 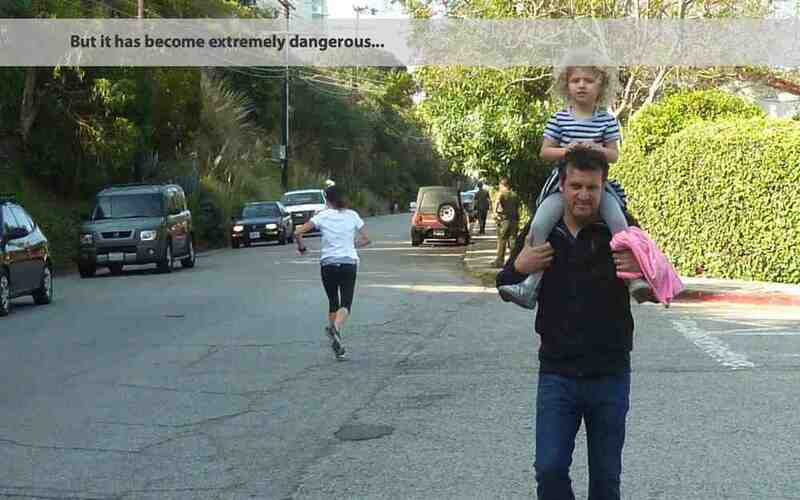 Like the Mayor, she is committed to balancing L.A.'s streets for pedestrians, cyclists, transit, and private vehicles. 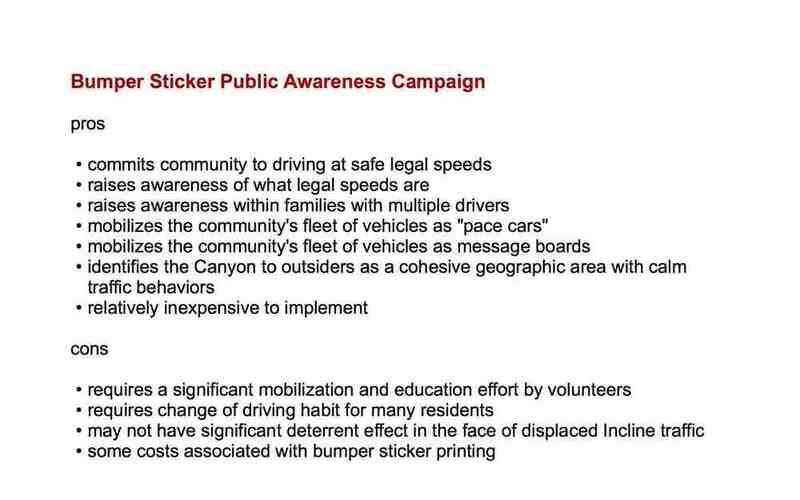 Her policy approach jives very closely with many of the goals that BOCA and SMCCA have set for making the Canyon safer for traffic and for cycling and walking, notably around Canyon School and along routes to the beach. 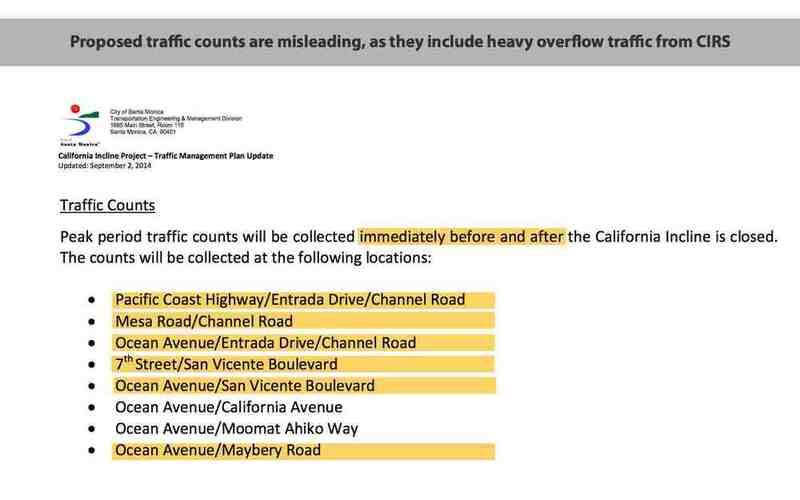 Our City Councilman Mike Bonin and his staff continue to be very supportive of our efforts on Traffic. Mike is the Chair of the Council's important Transportation Committee, was instrumental in hiring Ms. Reynolds, and has already toured the district with her. 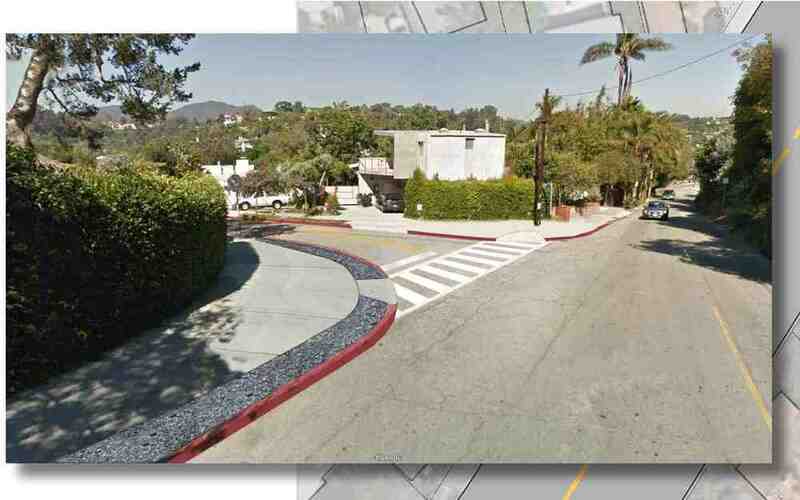 Also, at the staff level, LADOT has brought back Mo Blorfroshan as the Senior Engineer for the West LA office, which covers the Canyon. Mo was formerly in this office, was well liked by the community, and knows the traffic issues in the Canyon and Palisades very well. He has already done a two-hour walkthrough with BOCA and SMCCA to better understand the exceptional traffic problems due to the sewer project and the upcoming Incline closure. He is very open to our suggestions and has been very responsive. 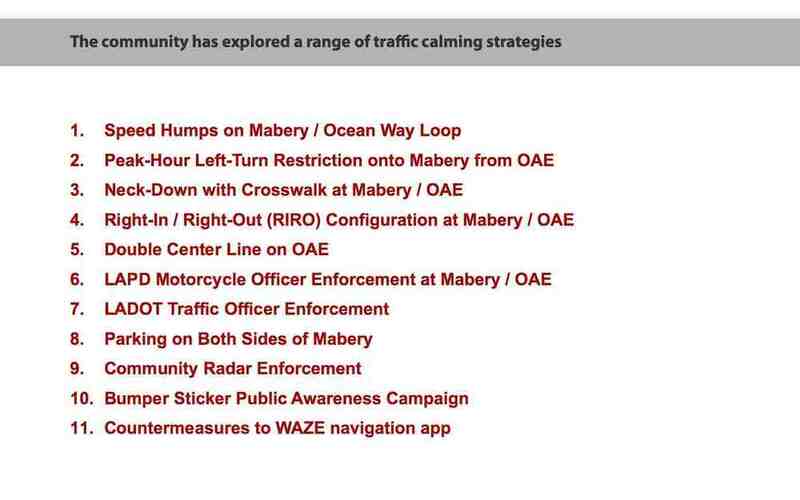 One of the Committee's primary concerns is the intersection of Mabery with Ocean Avenue Extension. 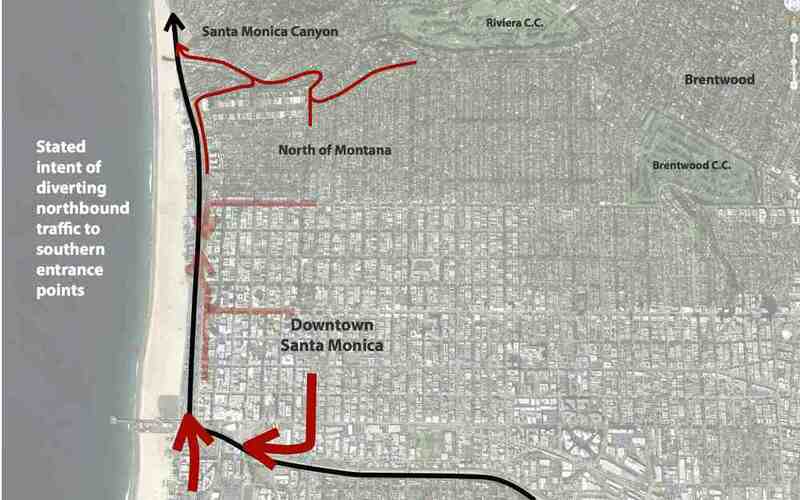 As part of the Environmental Impact Report process for the California Incline, BOCA and SMCCA have repeatedly requested as early as five years ago that, during the period of construction, left turns be prohibited during peak hours as part of the mitigation for the Incline traffic overflows, which the EIR says will be significant and cannot be fully mitigated. 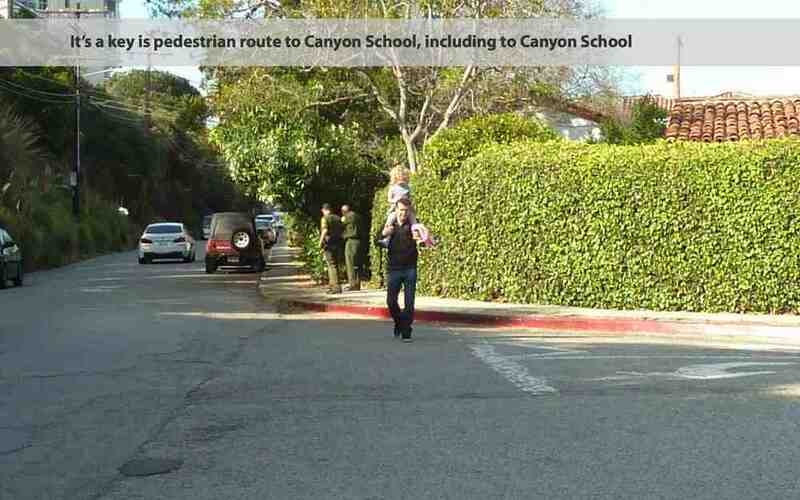 This request was supported by a petition from neighborhood residents. 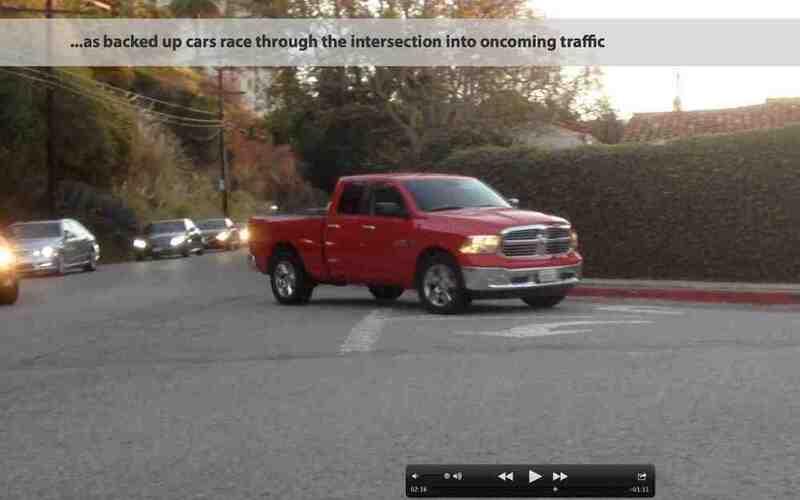 Beginning in May of this year, the sewer project unexpectedly provided a disturbing preview of the impact of overflow traffic on the Canyon, particularly on this dangerous intersection and on the Mabery / Ocean Way loop. 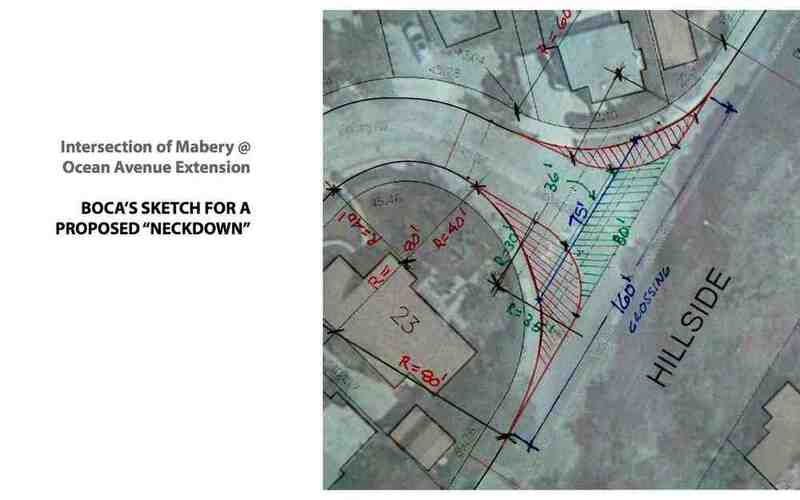 Based on five months of observation since the sewer project began, including extensive videotaping, the Traffic & Walkability Committee recommended to the BOCA Board that the request be extended to a 24-hour left-turn prohibition onto Mabery (only during the sewer and Incline construction projects; the prohibition would be removed once the Incline reopens). The Committee felt that a peak-hour restriction would be inadequate, would be frequently ignored, and would likely be unenforceable. 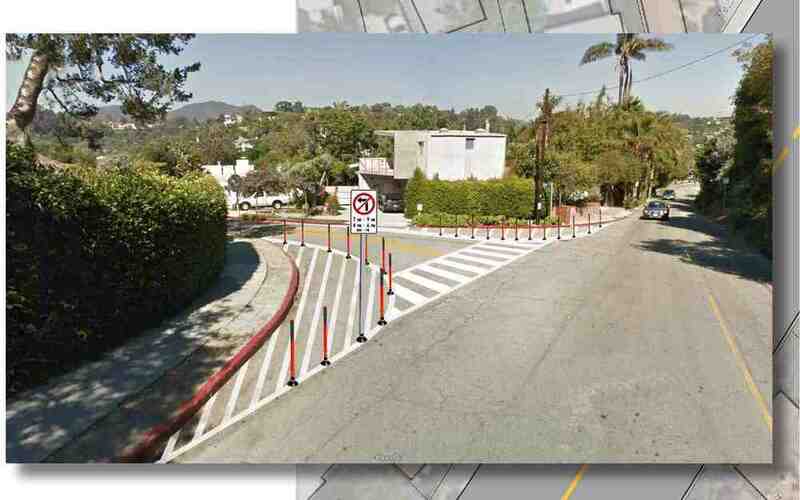 The 24-hour restriction would be achieved with a physical redesign using striping, delineators, and any necessary barriers and signs. On October 2, The BOCA Board reviewed the Committee's presentation (see slideshow linked above), which covered a wide array of strategies and options, with the advantages and disadvantages for each. The board approved the recommendation for the 24-hour restriction, with the direction that the Committee conduct a community forum to let neighbors know about these developments and hear any concerns. On October 14, BOCA shared its decision with the Board of SMCCA on an advisory basis; SMCCA was supportive. The community forum was held on October 15. 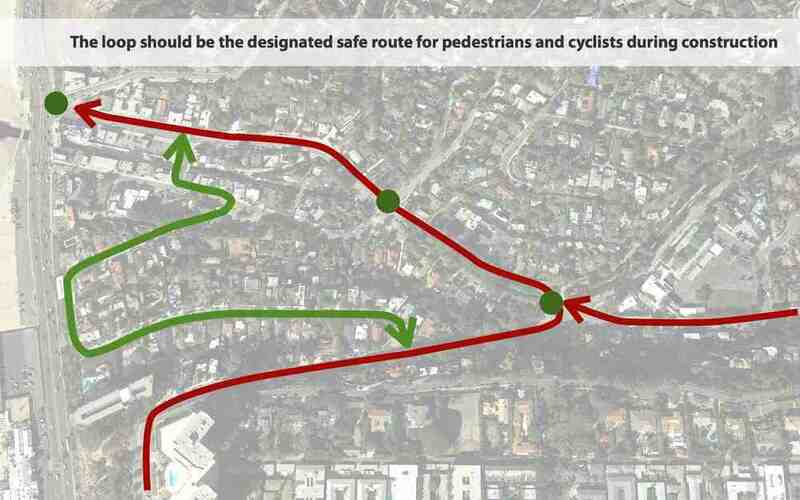 There was strong support for the 24-hour restriction, but some felt that a peak-hour restriction would be adequate and enforceable, and predicted that drivers would make u-turns into driveways to evade the left-turn prohibition. 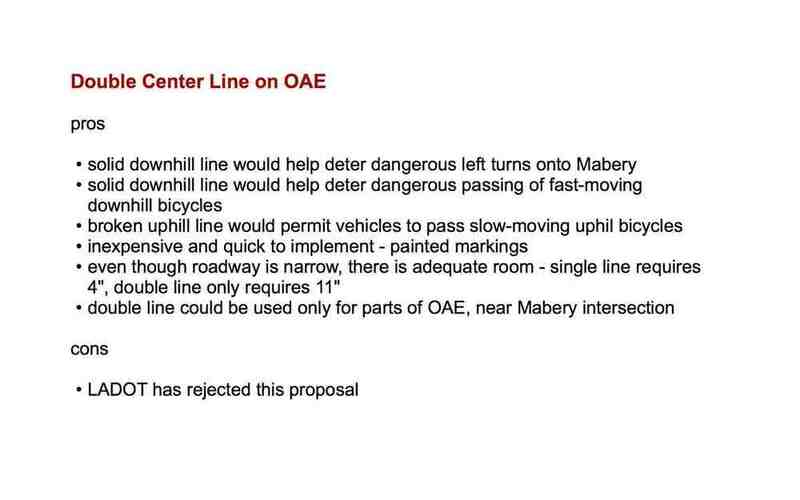 The Traffic Committee said it would work with LADOT to address this concern through the use of solid centerlines or other means. 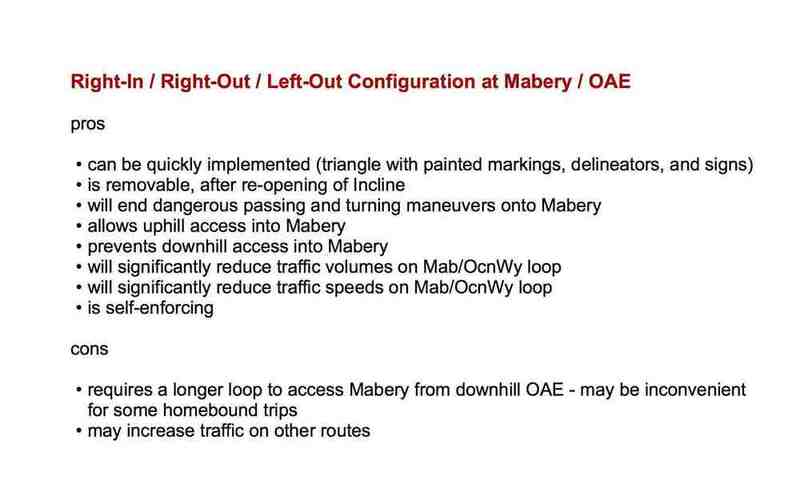 LADOT is currently reviewing the proposal. 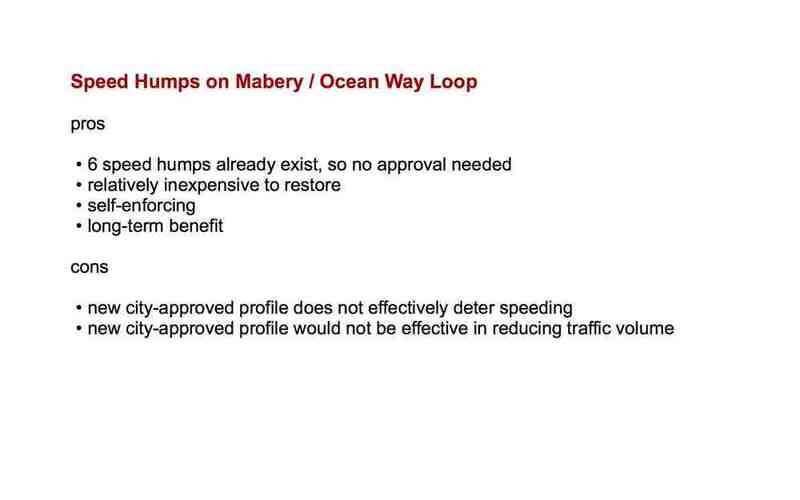 By the end of the discussion, there was majority support for the recommendation, and a consensus was reached.